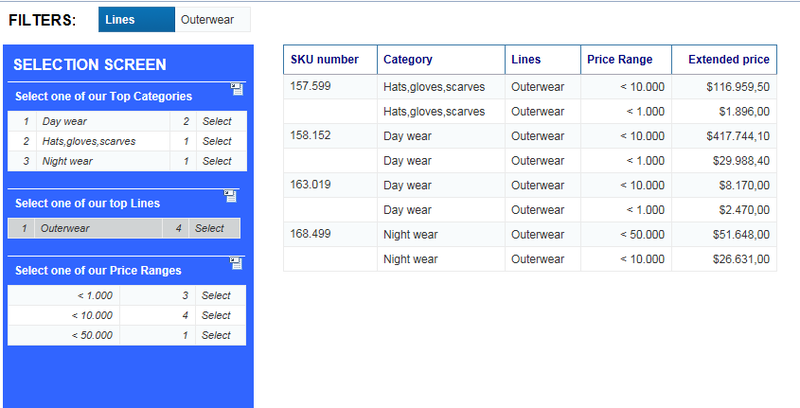 When we select for instance in Lines “Outerwear” we see our selection in the filter space and also we get more information about it, we have the amount of hits (count SKU number) per category and per price range. 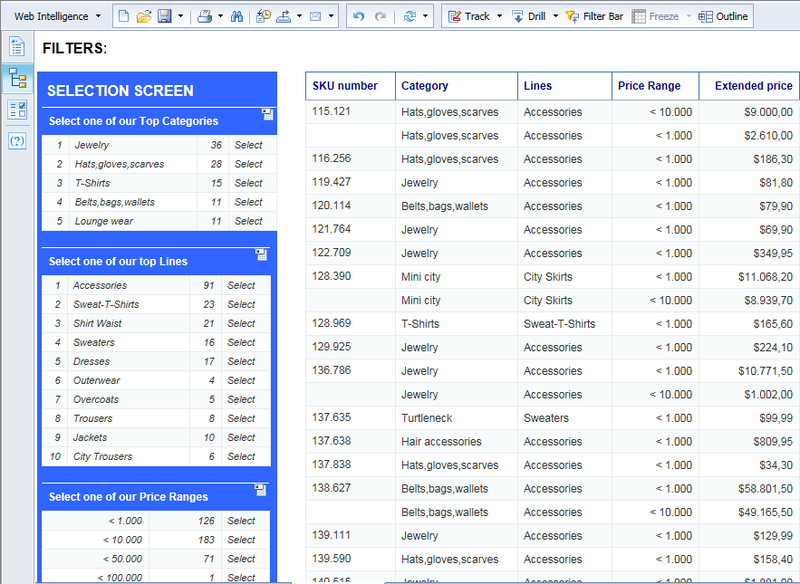 By resetting the element links we can remove the filters and explore more! Get more information out of your data! Excellent idea! It also makes for great reading – your excitement jumps out of the page. I love it when an idea works well! Congratulations – I’m glad to celebrate your win with you. I do, of course, have to bookmark this for later. We just aren’t using the “newer” tools yet. Great idea, I used to do this using Input Controls, all the time, this is much better!